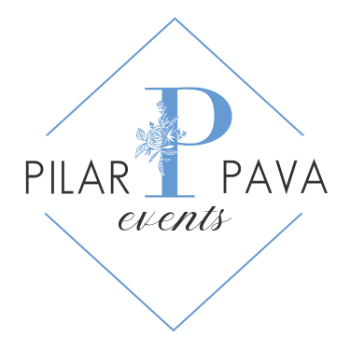 Pilar Pava Events provide professional services for the planning and implementation of out-of-town event programs and services. Our value as destination management company primarily rests in the extensive knowledge of the local area as well as its professional relationships and local resources. We are of great help to a corporate event and meeting planner who has been charged with coordinating the out-of-town event. In addition to providing local expertise, we will also act as one key contact throughout the event planning process. Why to hire Pilar Pava Events? Event planners outside of their local area want to work with a local planner who knows which caterers, transportation services, hotels, and other facilities will provide the best service within the available budget. We understand cultural norms and expectations and knows when prices are being jacked up or unnecessary extras are being added to a bill. We know where and how to find the best entertainment, freshest food, most helpful staff, and best travel routes. One way to ensure a corporate event proceeds flawlessly is to hire us. Our role is to take the stress off of you, the client by managing the infinite number of decisions that go along with any corporate event. We will make your event less stressful and more successful. Online registration, not only a convenience for the attendees, but also a valuable tool that allows you to manage and track the event much easier. What do all events have in common? That is a very good question because some are festive, special occasions. Others are focused on a particular business purpose. Some last hours. Some last days. The fact is, no matter what the size of the event, the common denominator is that someone spent a lot of time, effort, and resources to create it, to design it, and to organize it. No event comes off without someone in charge, directing every minute detail, ensuring that everything is planned. That is why we are here! We take care of all the small, tedious details and arrangements so that our clients can focus on their important day. Pilar Pava is all about the details and logistics, from vendor referrals and contract negotiation to day-of execution of your vision. Our goal is to make your wedding planning seamless and enjoyable as possible. We will keep track of your budget and handle the logistics. This is a skill that many can learn, but only the best planners like Pilar Pava Events have the years of experience that sets them above the rest. We can organize the entire wedding experience or we can assist with day of coordination.